In a time when women were expected to be docile and demure, Lillie Langtry posed for celebrity endorsements, managed her own business affairs, and openly entertained a string of lovers, including the Prince of Wales. 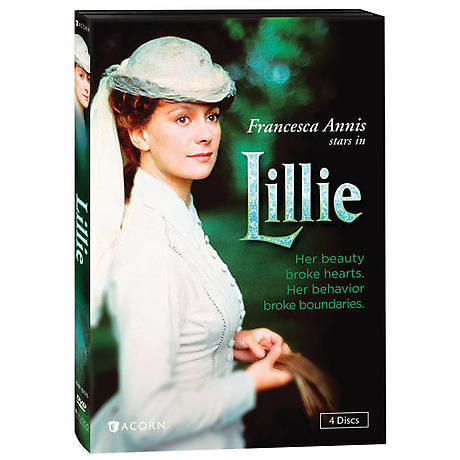 Seen on Masterpiece Theatre, starring Francesca Annis, Lillie vividly captures the woman who became one of the most notorious and respected fi gures of the Victorian era. 13 episodes, 11 hrs, 4 DVDs, CC.